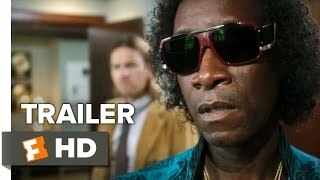 Miles Ahead is a wildly entertaining exploration of one of 20th century music's creative geniuses, Miles Davis, featuring a career defining performance by Oscar® nominee Don Cheadle in the title role. In the midst of a prolific career at the forefront of modern jazz, Miles Davis (Cheadle) virtually disappears from public view for a period of five years in the late 1970s, his musical voice stifled and numbed by drugs and pain medications. Dave Braden (Ewan McGregor), a wily music reporter, forces his way into Davis' life and, over the next couple of days, the two men unwittingly embark on a wild and sometimes harrowing adventure to recover a stolen tape of the musician's latest compositions. Plagued by years of regret and loss, Davis flirts with annihilation until he once again finds salvation in his art.